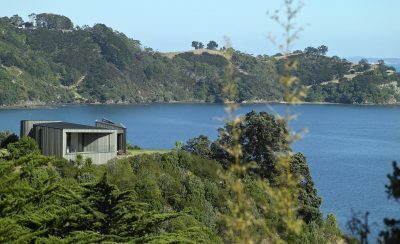 A chamfered and shadowy rock-like form has been discretely settled into a steep bush-clad site. 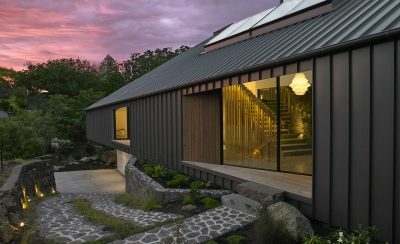 Our idea was to have the relatively stark exterior give way to a rich timber lined cabin-like interior. 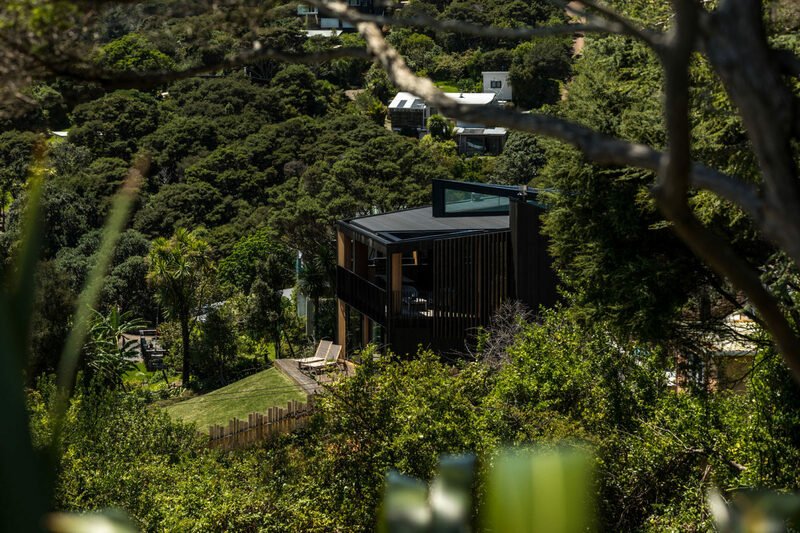 The 3 bedroom home designed for a young family has been oriented to maximize both spectacular views and all day sun, offering opportunities for both prospect and refuge from the elements year-round. 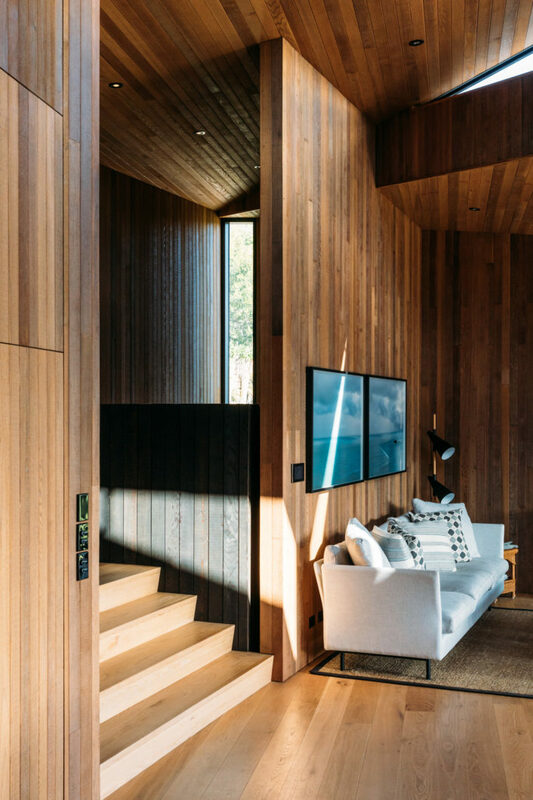 The open-plan living spaces sit above the three bedrooms and are connected by simple, efficient circulation, and share a consistent natural material palette throughout. Careful attention to material selections and details such as in the kitchen, bathrooms and stair further enhance the cabin-like interiors and give the home a bespoke and sophisticated air. Surprising shafts of light penetrate the interior spaces animating them with warmth and drama. 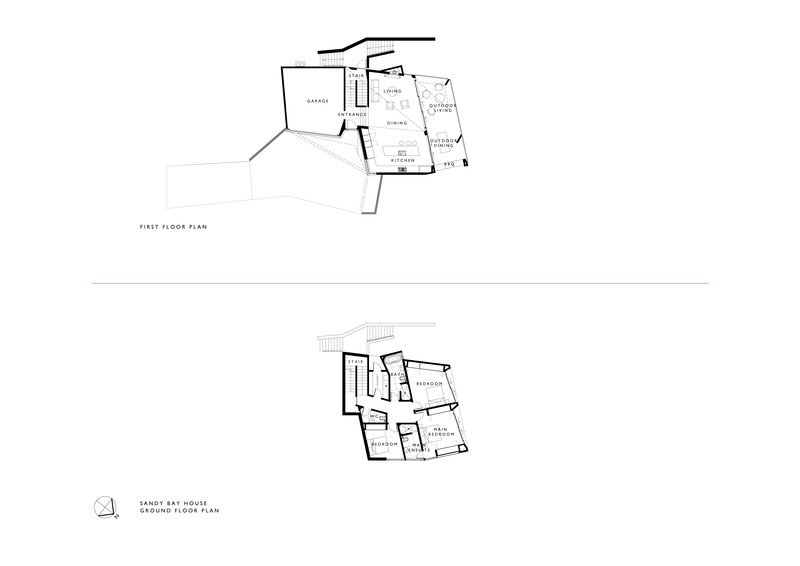 With this house we have tried to maximize our opportunity to give our clients a small but perfectly formed home.